Use this splitter hub to easily wire 6 RGB black or stainless LED step/deck lights together. 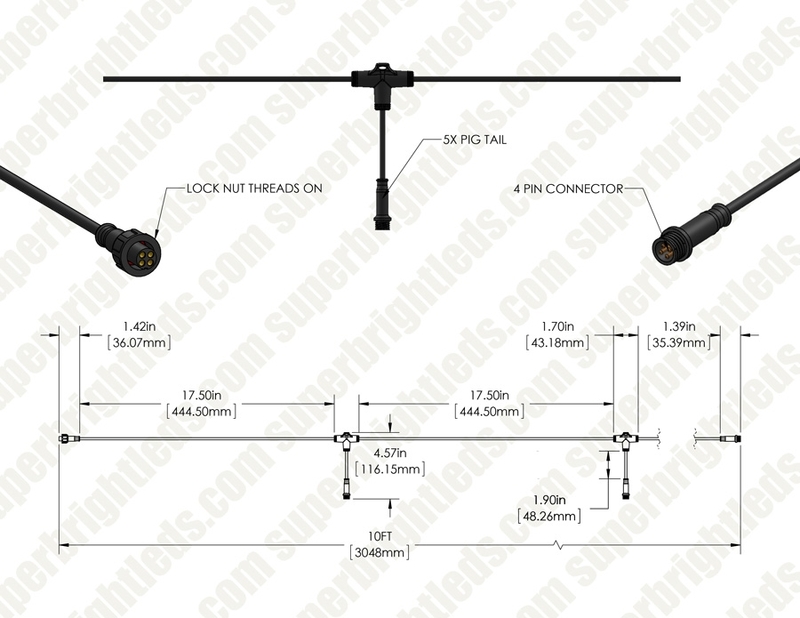 The 118" watertight splitter has 19" of space between the connecting cables for each light. 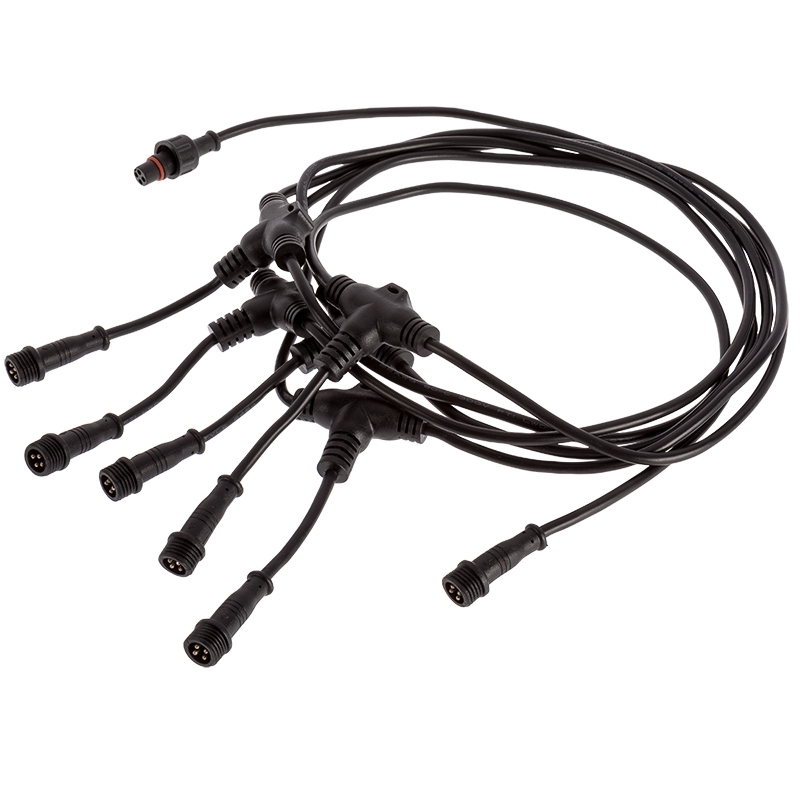 This splitter is designed to be used with one of your light's included pigtail power cables when connecting to a controller. Wire into a new or existing low-voltage landscape lighting system.